You will earn 1,495 Reward Points. Earn 1 reward point for every 1 dollar spent. Exclusive offer: 50% OFF (already discounted price) Manitowoc matching filter. 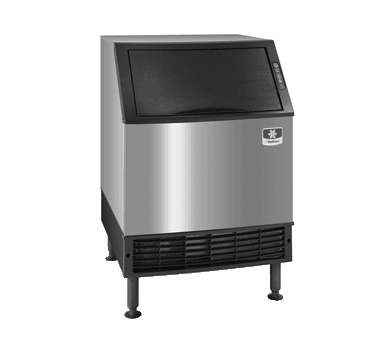 NEO undercounter ice machines are designed to provide ice right where you need it – within reach. 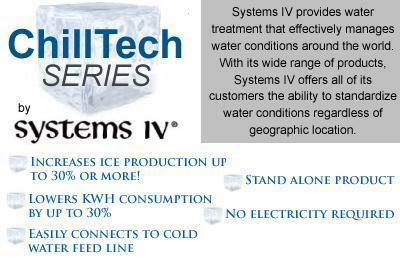 Improvements in Performance, Intelligence and Convenience make your ice machine easy to own and less expensive to operate. Performance – NEO produces more ice than ever before while using less water and energy. The storage bin provides industry leading capacity. Available LuminIce® Growth Inhibitor extends cleaning intervals by reducing yeast and bacteria growth keeping your ice machine cleaner, longer. Intelligence – NEO provides feedback with full bin and service indicators. Delay function allows you to pause your machine for slow periods or days when you’re closed. Convenience – NEO offers a forward-sliding storage bin for easy access to refrigeration components without having to move the entire ice machine. Smooth, sealed food-zone with removable water trough, distribution tube, and damper door for faster cleaning. AlphaSan added to key internal components. Cupra-Nickel Condenser: (Water-cooled models) Adds protection from corrosive water elements. Air Filter - Simple, toolfree removal for quick access during routine cleaning and maintenance. Air Flow - Air in right, air out left, no side vents. Great for installation under countertops and next to other equipment. everything was great price, ordering and the people I talked 5 stars in my book and I telling everyone about this equipment. Manitowoc UY-0140A NEO" Undercounter Ice Maker. How do you clean? we have melted ice in the bin. is there a way to start clean?